There are less than three months until Christmas! In the papercrafting world, it is high time to think of Christmas and Holiday Cards. Many Christmas products were release this month but there was one that was a must have for me. Today, I have a Christmas card for this week's Tic Tac Toe Challenge. 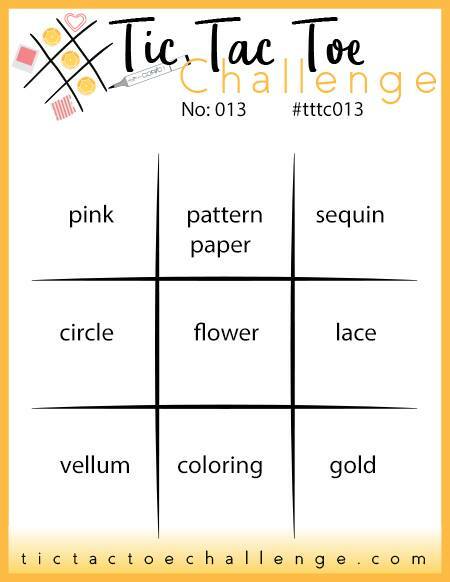 Each week they have a Tic Tac Toe Board with 9 different squares and each square has an element to incorporate into your card. You can choose from three columns down, three rows across and of course the diagonal lines as well. For my card, I chose the center row going down which is Open, Circle and Glitter Paper. Glitter anything is difficult to capture but I'm fairly happy with my results. You can't really see it looking straight on, but I think you can see it fairly well with the card laying down (click on the images to enlarge them). This is one of several cards I've made using the new Cutaway Tags: Winter with the Cutaway Tags: Winter Die. I've made some of these tags using traditional red and green but I wanted something in pink because I love Pink Poinsettias and these tags reminded me of them. I eagerly await Thanksgiving each year because that's when the stores start putting them out for purchase. I started by cutting several of the Cutaway Tags: Winter from Stamper's Select White Cardstock so that I had extras for the initial run of stamping. While these stamps are not layering stamps that build into a single image, each layer is separate i.e. the large holly branch is one stamp, the smaller branch is another as well as a small and large flowers to stamp those. It took me some time and a bit of practice to get things lined up really well and to figure out how to get my die cut lined up in the same place each time. I always use a negative from the die cutting as my place holder for stamping, but this negative didn't have a square, it was a circle. I finally figured out to line my ruler up along the center band, top and bottom and made marks on my negative showing the band on either side of the die cut. I put Post-It tape across the back side of the die negative to hold the positives in place and then stamped. That worked great. If I was a fraction of a fraction off (is that a real thing? ), it messed up the stamping. I'm not having any problems now. I've also learned that at least for me, I need practice stamping to get a feel for how the stamps look when they are correctly lined up. As they say, practice makes perfect. Even though I lean towards cool clear colors, I thought Ripe Avocado was the perfect color for the leaves even though Pinefeather might have been truer to life. 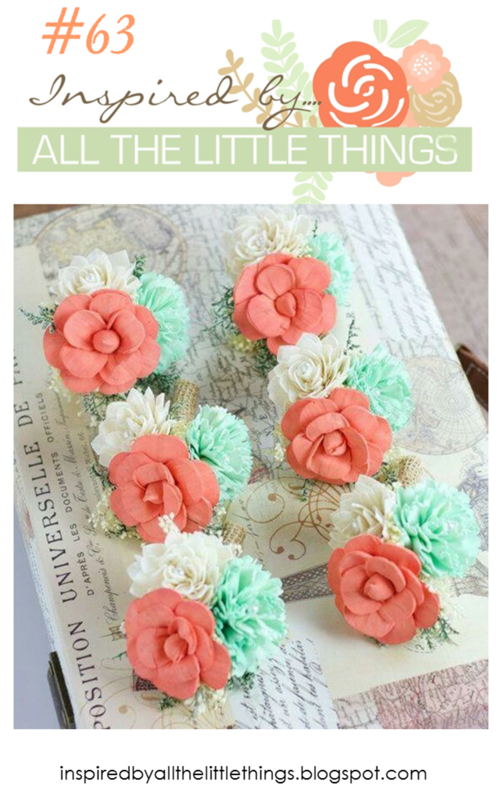 For the blooms, I used Hibiscus Burst. The cutaway style of these die cuts also makes them perfect to pair with a background color or texture. 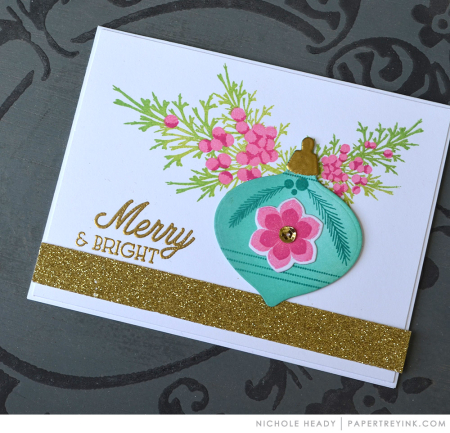 I used the Berry Wreath Tag Die to cut a backer from Gold Glitter Paper for the Cutaway Tag. If you don't want the little loop at the top, you can just trim it off. It's just slightly smaller so it is perfect to go behind in whatever paper you want, but you could also affix the cutaway tag to just your card base as well which is what I did. I used Foam Tape here. Another thing I plan to do with these stamps and dies is to stack several to make an ornament that could be hung on a Christmas Tree for that season. I think that would be a fun touch for family. I love sending my girlfriends cards with a feminine touch and one of my favorite things to use is a bit of bling in the form of Swarovski Crystals. Tiny jewels can really make such a statement on a feminine card. I attach them with Ranger Multi Medium Matte and so far, I've never lost a single one. I used Liquid Pearls in White Opal to make the white berries on the holly. I don't have a nice shade of red in either Liquid Pearls or Tonic Nuvo Drops so I went with white and I am happy with how it looks. These tags are designed to stamp the greeting along that center strip, bu I decided to use my stitched banner from Tag Sale: Quilted die set and stamped the greeting there, then attach it with some foam tape. No matter what colors you choose, they will be beautiful! I often try to take my inspiration from colors found in nature, but the beauty of stamping is that we can make things any color we want. Here's another card I made using Pure Poppy and Ripe Avocado inks. I even did a bit of embellishing with a Quickie Glue Pen and some Martha Stewart Glitter that hasn't seen daylight for about 10 years! I plan to play around with more of the glitter for the ornament idea because I have a lot. I bought a whole collection of the Martha Stewart Glitter many years ago as well as a few individual colors in the Recollections and a few of the Elizabeth Craft Silk Microfine Glitters. I got the latter when my local scrapbooking store went out of business. I've actually played with glitter, liquid pearls and Nuvo Drops this week quite a bit and I'm anxious to try some other things out as well to make my Christmas and Holiday cards really sparkle this year! In fact, I have a fun project coming up that is for my littlest grandson's birthday where I am planning to use some glitter. His birthday is in a few weeks and we have to return to their home in Texas just a few days after that for some other business. I'm going to keep his card and give it to him later so I can see his face when he opens his card. It will be a lot of fun! Thank you so much for coming by and I'll see you next time! Anyone that I've been good friends with for a while, knows that I am a girl who loves quotes, especially those that speak to my heart. I've used them often in my scrapbooks through the years and I'm always on the lookout to add a new one to my collection. So when I saw that Double D Challenges was having a Sentiment/Quote theme this time around, I had to join in. In fact I have a few that I'd love to play with but I might only have time for one so I wanted to do something that also fit in with Challenge #16 at The Heart Desires using Fall colors. I love the combination of Scarlet and Brown in the fall. The colors are deep and rich and just automatically feel regal and beautiful. If you add a touch of gold into that, it's sure to be a winner. For my card, I started with a top folding card base made from Vintage Cream Cardstock. I die cut a piece of brown shimmer cardstock (DCWV) for the background panel with the MFT Blueprints 15 Stitched Rectangle Die from the set. I adhered that to my cardbase with Kokuyo, which is a sticky dot runner. After using my powder tool on a piece of Stamper's Select Vellum, I stamped the sentiment in Versamark and heat set it with Simon Says Stamp Antique Gold Embossing Powder. It's important to let your heat tool warm up for about 30 seconds before you melt the embossing powder so that your Vellum will not warp. I found this stamp at Hobby Lobby and it is their brand, Stampabilities. I was impressed with how well it stamped. To cut the layers, I used a much older set of Cookie Cutter Dies from QuicKutz that I think were called frames. I don't have them labeled and I don't remember for sure but I've had them for about 10 years now. 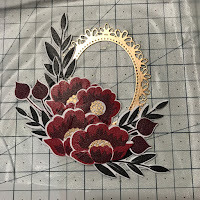 The layer behind the vellum is a Scarlet Shimmer that I already had in my stash and the layer behind that is Die Cuts With A View's "Dear Jane" Mat Stack which is a nod to Jane Austen's "Pride & Prejudice". It's a beautiful collection of papers but it's sometimes hard for me to find a way to use the designs because of the size of many of the patterns and the Victorian Style they are, but they were perfect for this card. Several of the sheets in this stack have gold foil on them. Additionally, I cut four of the Spellbinders Corner Flourishes (NLA) and added them to the corners of my card front. To adhere the vellum piece to the Scarlet Shimmer, I put Stick-It Adhesive behind the entire piece. Next I cut a piece of Black Fun Foam in the same size to go behind the Scarlet Shimmer paper so that I could pop that element up a bit. You could also use Black Foam Tape like the kind available from Scrapbook Adhesives or Ranger but I forgot I had some until I had already cut the black foam. This is my best imitation of a style that my friend, Yana, creates for Spellbinders often. She creates the most beautiful, layered and dimensional cards. I considered adding tiny pieces of foam tape behind the corner brackets, but since I am actually mailing this card to someone, I decided just to use Ranger Multi Medium Matte to make sure they were held securely. Thank you so much for stopping by today. 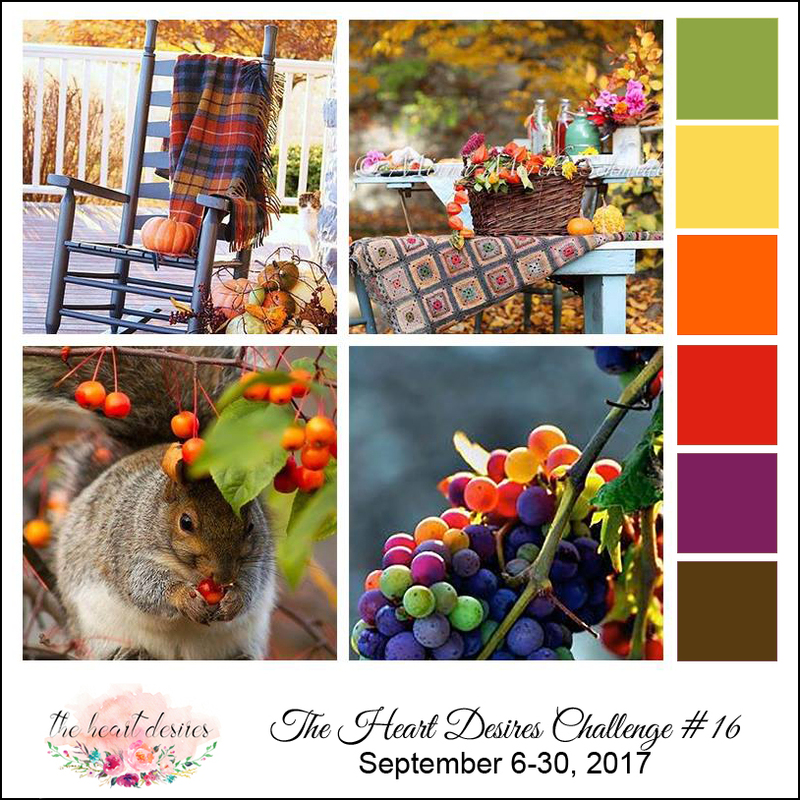 There are sure to be lots of inspiring cards at the Double D Challenge so be sure to check them out as well as the challenge at The Heart Desires. See you soon! Today's Card is for the Simon Says Stamp Wednesday Challenge this week with a theme of "Pop It Up". I was so excited when my Build-A-Flower - Rose arrived in the mail yesterday. It actually arrived last Friday but were were out of town and our mail was being held at the post office, so I didn't have it until they did re-delivery of our mail. Build-A-Flower is a monthly feature from Altenew where they release a Stamp and Die Combination that is only available as a set. This started back in March and "Rose" is the 7th in a series. Altenew is known for their layering sets and this one is just incredible! It was also incredibly easy to to line each layer as well although I am not sure I am stamping the final small layer where I am supposed to. However, I don't think anyone will notice. To get the hang of the layering and choose my colors, I cut a few blooms and leaves to stamp on using the negative as a place holder in my MISTI. My final selections were Altenew Inks in the Rose Petal, Cherry Blossom and Green Fields Collections of inks. Since there are so many layers, it worked very well to use the families of ink that Altenew has. The colors I specifically used are Rose Quartz, Pink Diamond, Puffy Heart, Rubellite, Purple Wine, and Razzzleberry for the bloom and Frayed Leaf, Forest Glades and Evergreen for the leaves. Once I had everything stamped, I got the rest of my card pieces ready to go. I die cut a sheet of shimmer card stock from a 4.5 x 6.5 Die Cuts With A View Shimmer Mat Stack that I picked up in Dallas. It has 9 colors with 8 sheets of each in what I would consider to be more "fall" colors. I first die cut it with the largest Simon Says Stamp Stitched Rectangle Die and then dry embossed it with a "Tiffany" Cuttlebug Folder. I'm trying to remember to use my embossing folders more often for the added texture. The striped paper came from a DCWV Mat Stack called Dear Jane. I also cut a background frame of Gold Metallic to go under the Avocado panel so that just a little bit of the edge would show on my card. I actually started making this card for The Paper Players Challenge and Simon Says Stamp Wednesday Challenge but in the end, I couldn't compromise my design just to fit in with a sketch. I try to do that a lot of times, but I'm not very happy with my end result when I do that, so I stuck with my design, but I'm still going to post it at The Paper Players Challenge. I used Scotch Foam Tape to adhere all of my leaves and the rose to my card. I die cut the word "Shine" from the same metallic gold cardstock but I used a Crystal for the dot on the "i" to give it a fun little twist. I have an insanely busy week this week, but I have a quick post for today for The Card Concept Challenge this week. Every two weeks (called a fortnight by our Canadian friends) during the school year, we are presented with an inspirational photo and we can interpret that however we want to create a card. 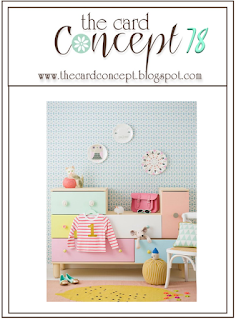 In my case, I chose to do a pastel color palette and to keep my card pretty simple. In fact, there is no stamping done here. I've notice Nichol Spohr has been doing some cards in this style lately so I'm not feeling too bad about not stamping on here. When I first started making cards two years ago, I did a lot of cards with no stamping in the beginning. I didn't know how to stamp anything and I didn't have very much variety in the stamps I owned. But since I came here from scrapbooking. I did have a lot of dies. Now, of course, I know how to stamp and the MISTI makes it super easy to get a more saturated color by double stamping or getting any spot that might not have stamped well. Normally I would have a least stamped the greeting, but I wanted to use this pre-foiled greeting that matched my Designer Paper. I started with a top folding card base made from Stamper's Select White Cardstock. Next I die cut a panel of the Peach, Pink, White, Mint and Gold patterned paper using the Gift Card Layers Die from WPLUS9. The largest die in this set cut a full A2 sized panel with a stitched detail all the way around. The paper itself came from Hobby Lobby. I love the bold gold graphic pattern in so I wanted that to be "the show" on my card. I have a whole pile of sentiments that came in another specialty paper pack I bought not long ago. It was a 12 x 12 Gold and White pack of paper from Die Cuts With a View. Inside, there were two pages full of these pre-printed, foiled sentiments that match perfectly. This one happened to be in the shape of a hexagon, so I used the Hexagon dies from Papertrey's Modern and Marbled Kit to make a mat for the sentiment. Since the lines around the sentiment are straight, I just cut that piece with my paper trimmer. I mounted it directly to the mat, and then mounted that piece with Thin 3D Foam Squares from Scrapbook Adhesives onto my card front. This was a fast and easy way to pull a card together quickly when you don't have time to sit and stamp all the pieces out. You still want something that looks great, but that takes a lot less time. I had a little trouble photographing this card so that you'd be able to see the gold so that's why the front and back are spread so far apart. If I hadn't done that, it just looked like black lines instead of gold! Thank you so much for stopping by today! Be sure to stop in over at The Card Concept Challenge and check out all of the cards and inspiration from the Design Team. We hope you'll join us! Today's card is for the Simon Says Stamp Flickr Challenge and the Fusion Card Challenge. It's been quite a while since I got to do any water coloring so I chose a stamp that I could use for that this time around. I adore the pink polka dotted cup in the inspiration image so I chose color to be my inspiration for my card. Not having any Pink Paper with White Polka Dots, I resorted to one of my often used tricks to make something similar. If you visit me very often, you know that I love to have a touch of metallic gold on my cards. This might be gold card stock, gold heat embossing, gold shimmer mist or a gold pattern in my elements. Sometimes it is all of the above. I often buy Gold and White patterned papers. I recently purchased a few paper pads that were all gold and white. One was a specialty Die Cuts With a View 12 x 12 Premium Stack that was all gold and white prints and the other 2 were from Paper Studio (Hobby Lobby's brand) 4.5 x 6.5 pads that were more than 50% gold and white patterns. I separate out the gold and white patterns and keep those all in the same cropper hopper paper holder, including the 12 x 12 sheets. Today's polka dot paper came from one of those pads. The really cool thing about white and gold is that you can make the white any color you want. So I used Worn Lipstick Distress Oxide Ink and ink blended the whole piece of cardstock with it using a Tim Holtz Mini Ink Blending Tool. Once I had that done, I gave it some spritzes of Tattered Angels Glimmer Mist in Iridescent Gold. I buy mine directly from Canvas Corp Brands. I've requested Simon Says Stamp to carry it several times, but so far they haven't. I do have a few other colors of shimmer mist, but I pretty much stick to the iridescent gold or the sheer sparkle that I use made by Tsukineko. I set that aside to dry while I did my stamping and heat embossing. Next, I stamped the image from WPLUS9's Kind Soul onto watercolor paper with Versamark Ink and heat set it with Simon Says Stamp Antique Gold Embossing Powder. I then water colored the blooms and leaves using Worn Lipstick, Seedless Preserves, Shabby Shutters and Mowed Lawn Distress Markers. I have not tried using the Distress Oxides to watercolor with, although I know they can be used that way, because I love the look of the regular Distress Inks. Once I had the image water colored, I gave it a good spritz of Tsukineko Sheer Sparkle Shimmer Spritz and let it dry before die cutting it with the coordinating Kind Soul Die. I also die cut the polka dot panel with the Simon Says Stamp Stitched Rectangle Dies in the largest size. I chose this particular stamp set because it tumbles across the page at an angle much like the flowers from the inspiration image. I created a top folding card base made from Stamper's Select White Cardstock. I die cut the banner using the Number The Stars Banner Die from Papertrey Ink and the Hello from a Hero Arts Hello Stamp & Cut. Using 1/16th inch foam tape, I attached the floral arrangement first, then attached the 'hello" die cut to the banner and the banner with foam tape just on the right hand side of the banner. For the other end of the banner, I just used regular Kokuyo Dot Runner Adhesive. My favorite foam adhesive is the Thin 3-D Foam Squares from Scrapbook Adhesives. This finishes this card for these two challenges. I hope you'll have time to play along or at least go and check out the other cards that have been entered into this challenge. Over the course of the last year I have been on some Challenge Design Teams and through this, I've found a lot of other card makers whose work I really enjoy. One of the most recent people I found is Kelly Lunceford. I just adore her work! When I saw that she is now designing for the Merry Monday Challenge, I just had to play along. I must say, it took several tries for me to achieve the look I was going for but, I'm ahead of the Christmas Card "Game" now because I already have about 8 cards made, which is one of the reasons for Merry Mondays. This is a weekly year round challenge with the idea that if you make one card a week for the whole year, you'll have your Christmas Cards well started or maybe even finished by the time Christmas rolls around. I make a lot of one-off's during the Holiday's so that I can showcase new products that have been released and since blogging and card making are my job, there are usually many Christmas cards shared here between now and the first week or two in December. 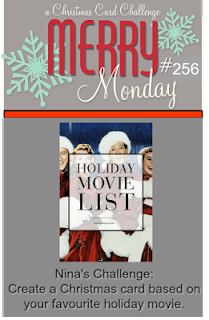 This week's Merry Monday Challenge is "Holiday Movie List" and the Movie I chose is "It Came Upon a Midnight clear". As I said, I had several tries to get to a finished product I was happy with, not for the work itself but to clearly convey my movie choice. Can't you just picture peeking out through snow laden branches in the deep, clear, still night and seeing the stars? There is something so magical about the stillness of a snowy night. This card is incredibly simple in the design but a bit trickier to capture. I still didn't get it nearly as good as I would like but sparkle is very hard to capture. In fact, I felt it was really only captured in my last card photo and even then, not very well. For this card, I started with a Cover Plate: Winter Floral cut from White Shimmer Cardstock and a background panel of Night Sky Shimmer Cardstock. I misted both with a heavy layer of Tsukineko Sparkle Sheer Shimmer Spritz and let them dry while I did some other things. Even though the paper is shimmery, it doesn't sparkle until you add the sparkle spritz. Once they were dry, I adhered them together with Ranger Multi Medium Matte. I applied that to a top folding card base made from Stamper's Select White Cardstock. I knew I wanted to use the "Believe" die from Simon Says Stamp (it was my favorite from last year) but I also wanted to be able to have an iconic symbol for Christmas in that night sky. It just so happens that Memory Box makes a die called "Star of Wonder", available from Simon Says Stamp and other retailers. So as you can see, this design was very simple and easy to execute. The hardest part was finding the right color and style of cardstock to really emphasize the sparkling white and starlit night. If you look closely at the top photo, I think you will see the shimmer, I took a photo from that angle so that you could see a tiny bit of that sparkle. It is truly stunning in real life! Of course after I had this blog post all put together, I decided I need to add a gem to the center of that star, so I did, but I did not take a picture of it. Thank you so much for stopping by today and I hope I've inspired you in some way. As always, if you'd like to leave a kind and encouraging comment, I really appreciate them! 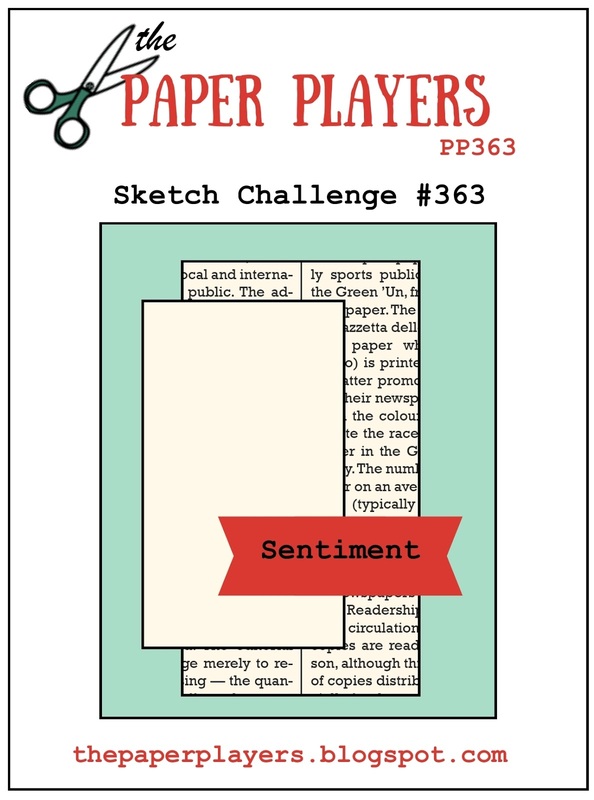 I don't think anyone will be too surprised or baffled when trying to figure out where the inspiration for my card came for the Papertrey Ink Create Along With Us Challenge this time around. It's release week which means we get to pick a project from the Design Team and create alongside them and share our projects with other customers via the monthly challenge. On Day One of this release, Nichole's very first project (on the right) inspired me. Isn't it just gorgeous? Nichole used a combination of two new sets, Brilliant Baubles and Beautiful Berries: Winter. I can hardly stand the wait to see the full reveal of the stamps and dies on the 15th. I think I might even be most anxious for the Berries as I have been enjoying my Spring, Summer and Autumn sets. These are intended to be Juniper Berries but, like Nichole, I see lots of possibilities for these as well. I'm super excited to see both of these sets. Since they haven't been released yet, I had to try to recreate the feel of Nichole's card and I decided to do my favorite feminine combination of Pink and Gold for my card. I will send this card to my best friend for her Christmas Card. For my card, I started with a SU! set that I've had since way before I started making cards. I was planning to use it in my scrapbooks, but that never happened. I'm excited for the new Papertrey sets because I think they will be a better size for card making. Still, I have this SU! ornament stamp set and the coordinating dies, so I've hung on to it. These are cling mounted stamps so I removed the insert and popped some white cardstock into my Mini MISTI. I wanted to control where the color got put onto the stamp and this was super easy to do with the Mini Ink Cubes. Since I have Rheumatoid Arthritis, the large ink pads don't work for me when I want to take ink to the stamp instead of the stamp to the ink. But the cubes work perfect with this technique. I tried a few different color combinations but this is the one I like best. The center portion of the ornament is inked with Hibiscus Burst and the top and bottom is Lovely Lady. Since I was using the MISTI, it was easy to add more layers of color to get a saturated look. Once the stamping was done, I gave it a generous spritzing with shimmer spritz then popped some Swarovski Crystals in Aurora Borealis onto the center of the flowers. Normally I use the plain Crystal Color but the Aurora Borealis color works well with Pinks and Purples. This is my favorite way to add bling to my cards, especially to my bling loving girlfriends. I created a top folding horizontal card base from Stamper's Select White Cardstock. I die cut a panel of Pink Shimmer Cardstock for the background. One of my Papertrey Forum Friends, Cindy O, sent me samples of the shimmer cardstock and I used the pink one here. I used the Sparkle & Shine Holiday Additions Mini Stamp Set to heat emboss the word "Holiday" on the background panel. I die cut the "Sparkle" word with the coordinating dies for the Sparkle & Shine Stamp Set. I used a strip of glitter paper to ground my ornament and some gold cord to tuck the strings behind the background panel. So that it would stay nice, I did a Jennifer McGuire trick and also covered the back side of the card with plain white cardstock so those leftover strings would not show. I think I will approach this in a different way next time and just glue the strings down in between the background panel and the card base but I had already done it this way when I had that light bulb moment. The ornament is popped up on Thin 3D Foam Squares but everything else is adhered directly to the card front. For the background panel I used Kokuyo Dot Liner but to adhere the crystals, Die Cuts and Glitter Paper strip I used Ranger Multi Medium Matte. I used the Sparkle and Shine Holiday Edition Mini Stamp Set to heat emboss the word "Holiday" on the background panel. This finishes my card for today! 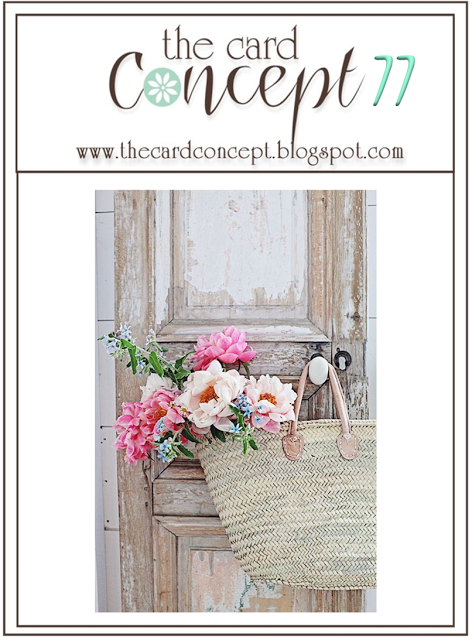 I hope to see your cards at the link up over on Nichole Heady's Blog. And while you're there, look around to see all the beautiful holiday products that are being released this week on Friday at 10:00 Eastern Time. Thanks so much for stopping by today! 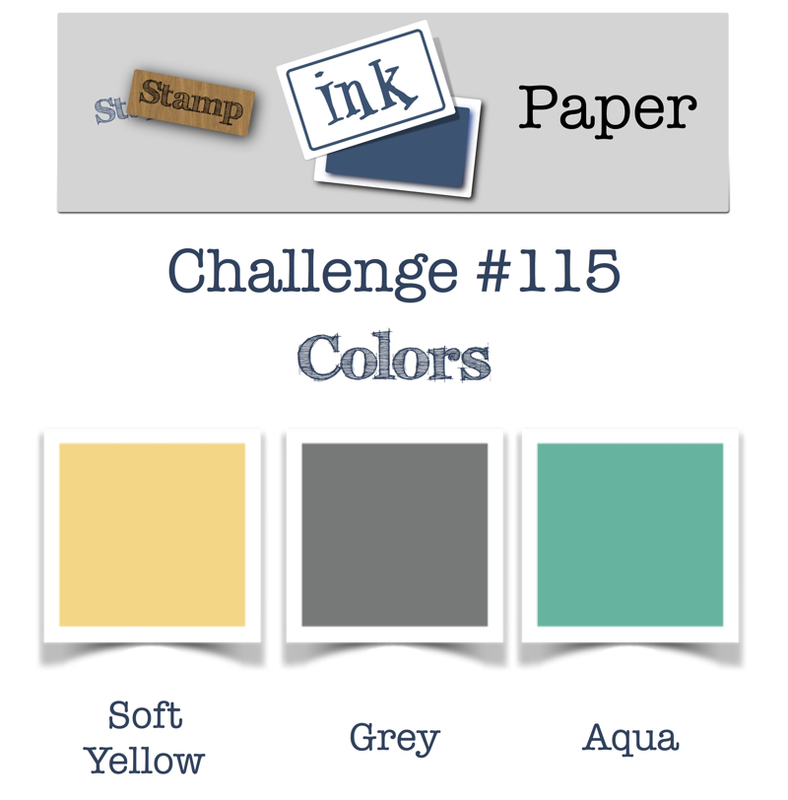 I am participating in two challenges today - one for Stamps, Ink, Paper Challenge and the other is the Ellen Hutson Mix It Up Challenge featuring Essentials by Ellen and Honey Bee Stamps. I was so excited when I saw the Ellen Hutson, LLC Facebook post yesterday because I knew it would give me a chance to use the adorable Build-A-Bee stamp and die set that I was finally able to get. I've been wanting to get it mostly so I can make an interactive card for my littlest grandson, Xander, who started kindergarten a few weeks ago. 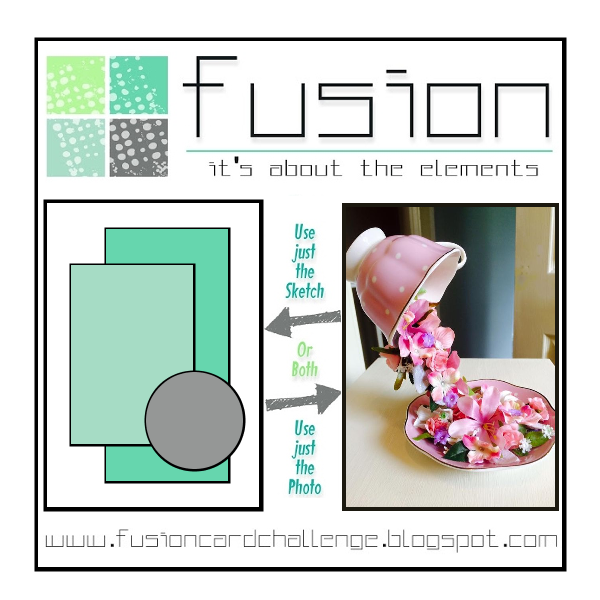 I don't have too many products from Ellen Hutson, but I thought I could figure out a way to make this work for their challenge. I was putting some patterned papers away in a different container the other day and stumbled upon a few sheets of forgotten patterns that were in my pile. Many of them only 1/4th sheet sized. One of them was the soft grey pattern you see in the background on this card. Originally, that background was Vintage Cream colored but with a little Lemon Tart Ink and a mini ink blending tool I could make the yellow a little more noticeable pretty easily. I am not a big fan of bright yellow like many people are. I like mine in a soft butter kind of color. I am also really learning to like my copic markers now that I've found a cardstock I like for coloring. I'm using X-press It Blending Card which is specifically made to use with copic markers. I love it mainly because it takes a lot less work to get the colors blended and it is smooth as silk and takes a lot less of the alcohol inks to do the job. In the end, it's a pretty big time and cost savings along with also being less frustration. The normal #110 paper is so thick that I think it takes a whole lot of effort and ink to get a good looking result. Before I gave up coloring completely, I wanted to give the specialty paper a try. I still don't use it often, but I am glad I tried it. I found mine on Amazon. I cut each sheet into 4 pieces and stamp one piece at a time. For this card and pretty much any image I stamp for coloring anymore, I used Simon Says Stamp Intense Black Ink and double stamped in the Mini MISTI to get a really crisp black edge. I have very few yellow Copic Markers, so the bees were done with Y00, Y02, Y06 and Y08. The grey stripes were done with a bit of Black 100, then C7, C5 and blended out with C-1. I have actually used my cool grey markers enough that I need to replace or refill C1. For the wings, I added some B000 and BG01 with some flicking motions at the base of the wings and then used Spectrum Noir Shimmer Pen in Clear all over just the wings. Given my penchant for shimmer, this shows great restraint. *wink* I also added a dot of white gel pen to the eye and made all the little tongues red with R39. The top folding card base is made with Lemon Tart while the grey background panel was cut from Smokey Shadow Cardstock and the aqua is cut from Hawaiian Shores Cardstock using my regular stitched rectangle dies from Simon Says Stamp and MFT. I put a piece of fun foam under the patterned paper panel to add some dimension and also die cut and stacked three of the fabulous word dies from True Black Cardstock, one of top of the other, using Ranger Multi Medium Matte. 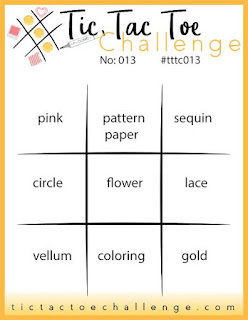 That finishes up this card for the Stamps, Ink Paper and Ellen Hutson Mix It Up Challenges. I colored a few extra bees for my grandson's card but I'm saving this to send to one of my "Fabulous" girlfriends for an encouragement card. After all, we can all use a little encouragement once in a while. Thanks for stopping by today! It's STAMPTEMBER® at Simon Says Stamp! 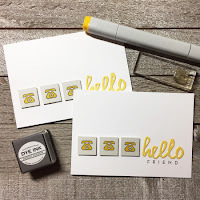 This is a month long celebration of Stamping and features collaborations with many of the other companies in the industry like Altenew, WPLUS9, Tim Holtz's Stampers Anonymous, Gina K, and lots more too numerous to list here. Each day there is a new product collaboration announced. All of the collaboration items are limited edition so if there's something you really want, you better not hesitate to get it or it will be sold out. This card is for the Simon Says Stamp Monday Challenge, the Simon Says Stamp Wedenesday Challenge and the Simon Says Stamp FLICKR Challenge plus the Inspired by... Challenge. Several of the challenges have returned this week after a summer break including Inspired By All The Little Things. Darnell is well known from around Blogger and is helping Lesley to run the challenge this year while Lesley enjoys her new little girl. I was waiting for the mail to arrive today because I knew I had a package out for delivery by the USPS. It was a happy mail day and I was very excited to get my STAMPtember® collaboration with Altenew called "Fabulous You". 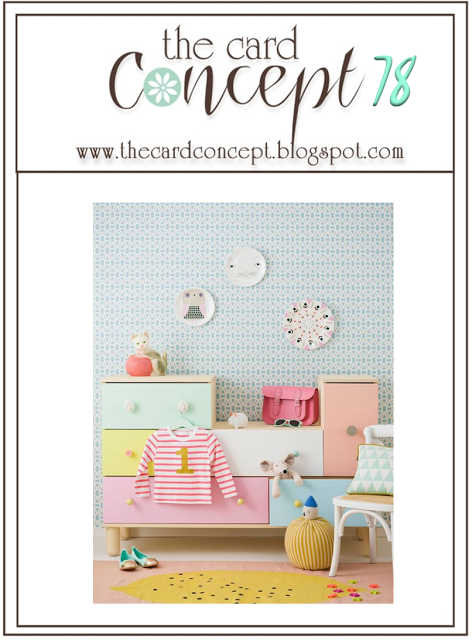 I was waiting for it to arrive after I saw the inspiration photo at Inspired By early this morning so I could use this set to make a card and enter a few challenges. Things didn't exactly go according to plan after that. As I was studying how to stamp the main image in this set and looking at the various layers, my husband walked in and asked me a question. When I turned back around to continue with reviewing everything, I could not find the stamp that I just had in my hand. I'll give you the prettier version of the story and tell you that after a lot of exasperation, grumbling some not so nice words and searching even the dogs' beds for the small stamp, I finally found it stuck to the dispenser of temporary adhesive I keep on my desk. I use it on the back of my cardstock to keep it from moving around in the MISTI. I'm glad it ended okay and that I have it safely tucked away now. For my card, I stamped the floral stem outline in Versamark and heat set it using Simon Says Stamp Antique Gold Embossing Powder. The blooms are just a single layer as are the leaves, but in four different stamps. Can you imagine if I had lost one of the very small leaf stamps? Trust me, I was maniacal enough.... I lost the bigger one on the top right but it wouldn't have mattered what size it was. New, unused and unstained stamps are difficult to see anytime. I don't really like that some ink colors stain my stamps but I can totally see how it could also be a positive thing after this incident. I stamped the bloom layer in Hawaiian Shores Ink and the leaves in New Leaf. Once the ink was dry I misted the panel with some shimmer mist and die cut it using the Simon Says Stamp Stitched Rectangle Dies in the largest size. I cut a gold panel using the MFT Blueprints 15 die. Next I made a top folding cardbase using Berry Sorbet Cardstock. I cut one gold and two white Honey Bee Stamps Large Thanks words (without the shadow layer) and glued them together with the gold layer on top. I tried spray adhesive again but am just not sold on it and ended up having to redo it using Ranger Multi Medium Matte. For whatever reason the layers don't stick to each other. I don't know if it's the kind I have or what, but it just isn't working out for me. I have tried several times but I finally threw my can in the trash this evening since it is nearly empty. It was supposed to be a time saver but it hasn't worked out that way at all. All in all, I'm surprised I got this card finished at all. And it's early enough this morning that the dogs aren't out of bed yet which means I get to work in peace. There are so many new things to see over at Simon Says Stamp so be sure to check out what it still available in the collaboration items. There are still 20 more days with a new release each day during the month. Thank you for stopping by to see my product today and I hope you'll join in the many challenges there are! 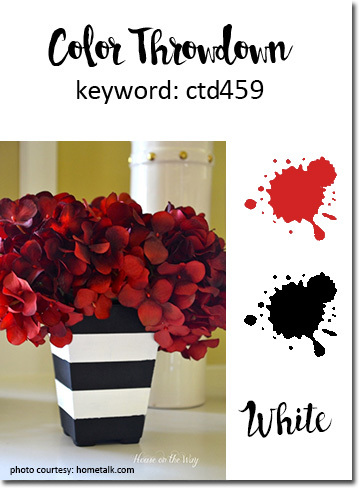 I always love Black, White & Red Color Combinations so I had to play along with this week's Color Throwdown Challenge. 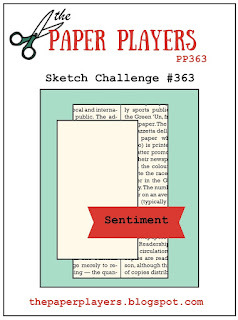 The Design Team had lots of inspiration and I had thought I would use Papertrey Ink's "Gran's Garden" for this challenge. That was before I saw Lynn Put's Design (The Queen's Scene) on Instagram Wednesday Night. That was a tough act to follow since she also used Gran's Garden to make her gorgeous card! This card was quite the topic of conversation on the Papertrey Forum yesterday but I have long admired Lynn's work. I mentioned that I would need to come up with a new game plan and I was basically challenged to use the same stamp set as Lynn (like I originally intended to) and put my own spin on it. So I gave it a whirl. I started with a card base made from True Black Cardstock. I die cut a panel of White with Black and Gold Polka Dot Patterned Paper for the background. The Gold dots are metallic. I also cut several of each of the die cuts for the Gran's Garden Stamps from Stamper's Select White Cardstock and a Spellbinders Floral Oval frame from gold metallic cardstock. Using one of the negatives from the Gran's Garden die cuts with my Mini Misti, I stamped the leaves first using Smokey Shadow Ink and then the blooms using Pure Poppy and Scarlet Jewel. For the very center dots on the flowers I stamped them in Versamark and heat set using Antique Gold Embossing Powder. so that I could tie in my stamped elements with the gold foiled frame. A little reminder here to let the ink DRY before doing this or it makes a mess of the embossing powder. Guess who forgot and also forgot to use the powder tool on the first round! Its a good thing I had stamped extras. Once I had the embossing done, I sat down with all the pieces to make my arrangement. Once I had it how I wanted, I put a piece of Press N Seal over the top and then picked it up and flipped it over to put adhesive on the back. I used Ranger Multi Medium Matte and put several dots on the back side of the pieces then placed the whole thing in position on my card front. This doesn't get glue every where you need it, but it does keep your arrangement intact so you can place additional dots of glue where needed. as long as you give the adhesive a minute to set first. I have a Small ScraPerfect No Clog Writing Tip on mine which lets me have access to my die cuts with it's longer tip. The one I linked to here is for the .5 oz bottle of Multi Medium Matte. Simon also carries a Medium ScrapPerfect No Clog Tip for the 2 oz. bottles of several other adhesives like Glossy Accents. I have been using the same tip on each of my bottles for about 18 months now and I love them. With the little Quilled Creations Tip, I tore it about a week in, so I had to look for a more durable alternative and this has been it. The price is the same too, so I've been super happy with the durability of it. Anytime I get a new bottle of adhesive, I just soak it for a few minutes in warm water and then rinse it clean before I put it on the bottle. The sentiment is one that I stamp lots of at one time and is my favorite for many of the cards I send. Its from the Altenew Beautiful Day Stamp Set and I stamped in onto a banner from Number the Stars Banner Die. I actually like this a bit better before I snipped off what was hanging over the edge of my card, but it wouldn't have fit into the envelope if I would have left it there. Since I made my card base from black cardstock, I also put a white panel on the inside of the card for a message. Thanks for stopping in to see my project today. 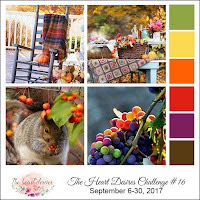 Be sure to stop and see all of the projects at The Color Throwdown Challenge Blog. This week's Make It Monday #296 with Lexi Daly shows us how to use the small filler images included in many stamps sets to create repeat designs. I love the whole concept because I love clean lines and graphics. In fact, because of this I chose to use a stamp set that was designed to use on repeat. I checked and this particular set is no longer available but there are many other sets that can be used to create a repeating or image card. Here are just a few of the sets that have all small images if you like this look. For my card, I starting by making a card base from True Black Cardstock. Next I cut a panel of patterned paper that I had from a pad I picked up at Hobby Lobby recently. The entire pad is Black and White and many of the designs have Gold Foil. Next I treated a piece of Stamper's Select White Cardstock with my powder tool and stamped several of the little images leaving space in between to cut them out. I sprinkled on Gold Embossing Powder and heat set the images. Once that was done, I used a .75" square punch to cut them out. Because this is a birthday card for my youngest brother I wanted to mat the squares onto black cardstock for that really bold graphic look. I used a 1" punch to cut those out and attached them with tape runner. I also really like diamonds vs. squares so of course, I had to attach them in that way. I die cut the Big Basics: Wish Big from Gold Foiled Cardstock. I really love Papertrey's Gold Luxe Cardstock with this Patterned Paper but I didn't think to check the color until after I had assembled the card. Then I started assembling my card. I cut a second rectangle of paper for the inside of the card. Whenever I use a dark cardstock, I try to remember to do this but occasionally, I do forget. I also cut a stitched square to put another "diamond" behind the Sentiment to help it really pop. I wanted to create another card in this design using dimensional foam tape and I had enough of the small heat embossed design pieces left to do it. I used the "Happy" from the Tipped Top Dies and the "Birthday" from the Birthday Cheer Dies. I cut two of the MFT Horizontal Strips Dies using the two largest sizes to put the sentiments on this card. Again, it helps the gold to pop off the background. This time I used a Stamper's Select White to create my top folding card base. It is always incredibly hard to capture this much gold on a card accurately so I did a close up for you where the lights were not directly on the card and I do think that is slightly better. I promise -- I did not use yellow! I love this style and design for masculine cards in particular. 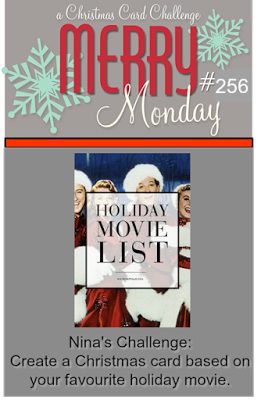 Be sure to hop over to Nichole's Blog and check out all the entries in this week's Make It Monday. Thanks for stopping by today. For those of you who have asked, I am finally finished with my class so I can get back to blogging regularly with all the details that folks seem to really want. Hello everyone! 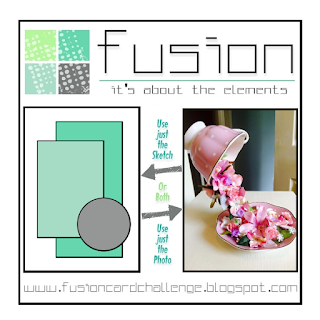 It's time for the challenges at The Card Concept to start back up with the return of school and this week we have a theme of "Weathered Floral". 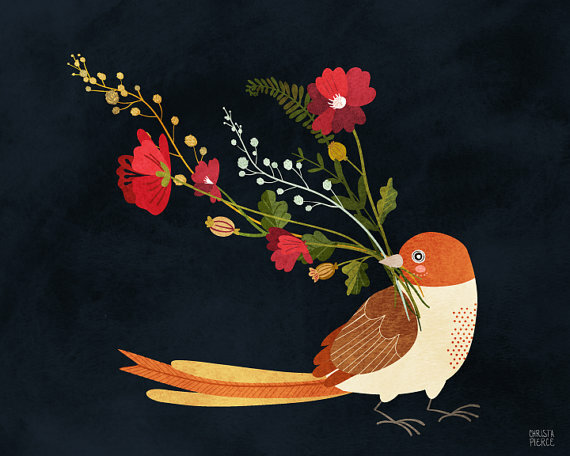 As always, we have this beautiful inspiration image to show you and the design team has tons of inspiration for you to see at the blog. 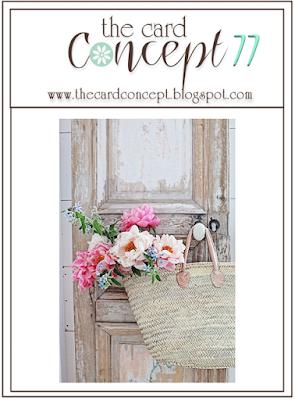 I was so inspired by the rustic door in this photo so I wanted to incorporate a wood element into my card. I had a couple of options to achieve this; I could use an embossing folder or wood grained paper. I chose to use some wood grained paper although what I had was not the right color. But since we just had a little tutorial from Lizzie Jones during Papertrey Ink's Stamp-A-Faire, I colored mine the color I wanted with an E37, Sepia Brown Copic Marker. I wanted the richer wood tone. Here's a fun little story for you; I have a specialist that I see for check ups about every 4 months in Downtown Tulsa. So when I was there a few weeks ago I wanted to stop in a the nearby Michaels Arts & Crafts Store. Well, I was shocked when I got there and I couldn't even get near the front door because of the fence and equipment sitting there. It got hit by the recent tornado that happened in Tulsa. We live north of there quite a ways, but I hadn't realized there was any damage to Michaels. I guess it took the roof completely off the store. So I trotted on down to Joann's even though I knew they didn't carry the brand of paper I was searching for. As I'm strolling along, I saw this paper pad that has the description as "Marble Paper Pad" with an image of different colors of wood grain paper. I think it must have been a manufacturer error but for a 5.5 x 7.5 inch pad of 24 sheets of paper at $1.00, that baby was mine! *Ü* Every once in a while, I need a wood grained paper for a challenge, so I was happy to get it at almost no cost. Now, on to my card! I started by making a card base from Papertrey Ink Rustic White Cardstock. This is a kind of egg shell colored paper with little flecks in it - perfect for a rustic look. I colored the wood grained paper with the copic marker and allowed that to dry completely before die cutting it with Papertrey Ink Tipped Top Dies. I also cut two banners using MFT Angled Banner Dies. I cut a few of each shape from the Beautiful Berries: Autumn Dies and then stamped them in my Mini MISTI using the negative as a place holder. This works well because you can stamp all of them at once. I just had to do 3 sets. In total, there are 4 layers to stamp including the stem and leaves although not all of the stems have leaves. I used Papertrey Ink's Lovely Lady, Autumn Rose, Classic Kraft and Ripe Avocado Inks. I wanted to have kind of a wreath or swag look for my card, so I gathered the stems all up and tied a piece of gold cord around them. The sentiments were also part of the Beautiful Berries: Autumn Stamps and I heat embossed them using Antique Gold Embossing Powder. I thought I should add that the Beautiful Berries: Autumn are actually meant to be Bittersweet. But I'm thinking I can even use it to mimic Redbud blooms in the Spring. I'm also anxious to try other color combinations because one of the best things about stamping is that we can make things any color we want. I've already mailed this card out to some friends that we have been close to for all of the years that hubby and I have been married -- 33 years and counting. They visited us a few weeks ago and Carol Jean and I had a ton of fun together (as always) making a trip into Pawhuska, OK (about 45 minutes north of where I live) which you may know is the home of Ree Drummond, Pioneer Woman, co-owner of The Mercantile or The Merc as is is affectionately known and Food Network Star. The Merc is a kitchen gadget heaven. My personal favorite is the Plastic Wrap Dispenser - I have one for Plastic Wrap, one for my Press 'N Seal and I need another yet for my Waxed Paper. There's also a similar one for aluminum foil. It was a lot of fun but it was the first time I'd been on a Saturday and even at 9:30 in the morning, the wait for the lunch line was a couple of hours. I'll share more about that another time, but this card was exactly what I was looking for. It inspired another card which you can find in this post. I hope you'll enjoy both cards and if you take time to comment, I really enjoy that. 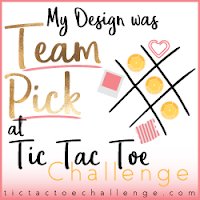 It's been a long time since I had a chance to play at the Tic Tac Toe Challenge (or very many challenges at all for that matter) and they have a new Challenge Graphic on their blog. The ladies at the challenge all seem to be Stampin' Up Demonstrators but when I checked the Challenge Rules, there is no requirement to use SU! products so I'm going for it this week or until they tell me otherwise. I chose the diagonal line of Pink, Flowers and Gold for my card. This has been the busiest summer that I remember for a long time - several years. My blog and participating in Challenges has taken a back seat to the class I decided to take this summer - Adobe Illustrator. I just finished the class, although I need a lot more practice, and I just wanted to sit down and make a card because doing that makes me happy. 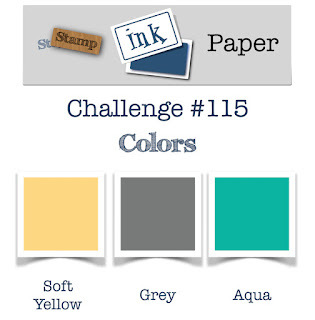 The Simon Says Stamp Wednesday Challenge for this week is Anything Goes, so this card is for both challenges. I'm really thankful that Simon doesn't have a requirement to use one of their exclusive products on the Blog Challenges. I do try to use their products for the challenges as a general rule because I buy many of my products there. Those products will be linked throughout this post. While I was taking the class, I wasn't linking my products to anywhere, but I will be back to doing that now. as well as writing the "How To's" of my cards. This card started with a Spellbinders Bookplate Label Die which hasn't been available in who knows how many years and the Papertrey Ink Beautiful Berries: Autumn Stamps and Dies. The label die is one I got in 2006 at the Great American Scrapbook Convention at the Spellbinders Booth. It both cuts and embosses and I haven't used it nearly as much as I'd like. So I started by cutting that from Stamper's Select White Cardstock and then using a tan embossing pad, ran it through again to emboss it a little deeper. I also misted the label with a very fine mist of water (just once) to help those fibers in the paper stretch a little more so they would make a nice embossed impression. I left the paper in the die to finish drying while I completed a few other steps. Next I die cut a few of each of the berry branches from the Beautiful Berries: Autumn Dies. Using the negative as my place holder in my Mini MISTI, I stamped the various layers of color using all Papertrey Inks in Dark Chocolate, Lovely Lady, Autumn Rose and Ripe Avocado. Each of the layers is double stamped for thoroughly saturated color which is one of my favorite things about using the MISTI. A few years back, I got this Pink and White Damask Design Paper at my local scrapbooking store which has since closed. It is from American Crafts and I have no idea if they still carry it. I wouldn't think so, but you never know. Anyhow, I have found that such a fancy design doesn't work well for a lot of things but once I did a quick layout placement of the elements, I decided it was perfect for this card. I only had one 4.25 inch x 12 inch strip of this left, but I cut both using the MFT Blueprints#15 Stitched Rectangle Die. Since I had already stamped extra berry branches, I cut another of the bookplate labels as well. I figured I might as well make 2 cards while I was at it. I used a bottle of Boss Gloss Clear Embossing Ink from Stampendous that has a blotter top on the bottle to dab some on the openings in the die (see photo) and then using a stencil brush with Ranger Perfect Pearls Pigment Powder in Interference Red brushed the perfect pearls on there. That color is kind of a mauve-y pink when they are set. Perfect Pearls have a binder in them so you only need to have a very fine mist of water to set them or you can use inexpensive hairspray. I used my little mister bottle that I filled with water after I emptied the contents of the Tattered Angels Glimmer Mist from it. I like how fine the mist is for their bottles and I usually keep them. They are great if you want to make you own color mists or whatever. Once I was sure the Perfect Pearls were set and dry, I used my powder tool on the labels and then stamped a sentiment with Versamark and heat embossed it in Simon Says Stamp Antique Gold Embossing Powder and then assembled the cards. The sentiment came from the Papertrey Ink Make It Market Garden Gate Kit which is NLA (No Longer Available ) but you could use any sentiment that will fit on your label or shape. I also like to use Thin 3D Foam Squares and usually have several packages of these around. I can use these to add a bit of dimension without it making the envelope too bulky to mail with only one stamp unless I get carried away. I do buy the big roll of Scotch 3M Foam Tape but I try to use foam squares most of the time. I also make a lot of flat cards because almost all of what I make gets mailed. For liquid glue/adhesive, I use Ranger Multi Medium Matte with a ScraPerfect No Clog Tip on it. I've also tried some of the less expensive versions of foam squares. It could be me because I have Rheumatoid Arthritis, but they drive me nutty when I can't get the release paper off of them. I would certainly encourage you to find and use what works for you. Thank you so much for stopping by today! I am happy to be back doing the thing I love and sharing that with all of you. As always, if you have a question, ask away and I will try to answer it for you. Happy September everyone! This card won Team Pick at the Tic Tac Toe Challenge where it was entered.